University of Houston-Victoria School of Education, Health Professions & Human Development curriculum and instruction faculty members and students pose after winning awards at the National Social Science Association conference in March in Las Vegas. 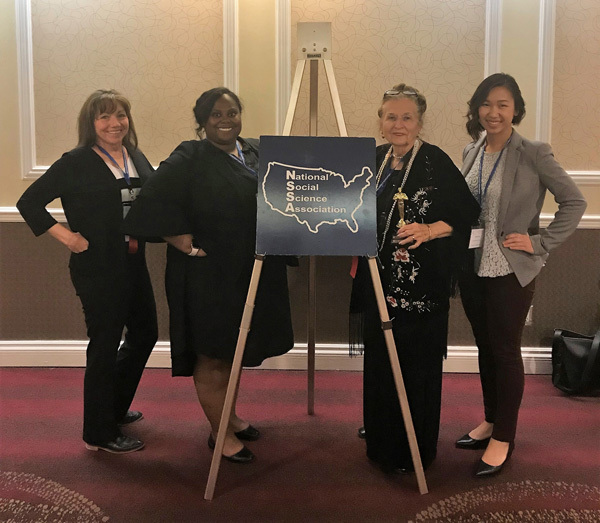 Pictured from left are: Teresa LeSage Clements, associate professor; Kameron Kitchen, a graduate student from Corpus Christi; Barba Patton, professor; and Valerie Hang, a graduate student from Houston. Kitchen won first place and Hang was runner up for the Don Luck Award for their education papers. Clements and Patton also gave presentations during the conference, and Patton was awarded the conference’s Oscar for Achievement. Other UHV faculty members who attended and presented during the conference were education professors Paul Carlson and Diane Prince.